In partnership with the Sarawak Convention Bureau, Borneo Tru Events presents Tribal Warrior Challenge, an exhilarating obstacle-based challenge set within the beautiful landscape of Borneo. 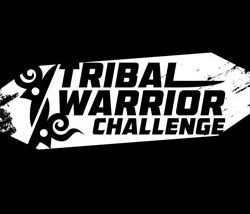 Tribal Warrior Challenge is designed to test your grit, strength and determination. Your muscles will be pushed, and your mental strength will be tested as we bring you obstacles that can only be conquered by incorporating these 5 elements: going over, going under, going around, going through and moving forward. Whether as a tribe or as an individual, the aim is to encourage you to conquer your fears and push beyond what you call your limits. Time to bring out the warrior in YOU! Registration opens from 2:30 PM – 7:00 PM. Participants are required to arrive 2 hours before their respective start times. All latecomers will automatically be transferred to the next wave.